Our ORLY EPIX Flexible Colour Melrose 21-piece Counter Display contains ORLY's Melrose Collection of nail polishes in a compact countertop stand. 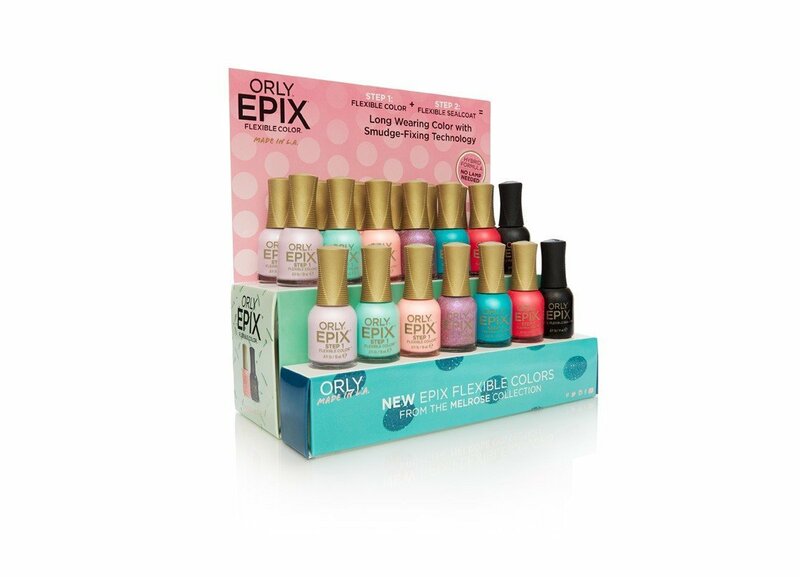 Display includes; 18 ORLY EPIX Flexible Colour polish in shades; Beautifully Bizarre, Vintage, Trendy, Feel The Funk, Hip and Outlandish and Window Shopping. and 3 ORLY EPIX Flexible Sealcoats.